Cute Love female WhatsApp status Video Telugu ??? ?.Telugu WhatsApp status Video song ????????. #BigBoss2Telugu Double Elimination, #Devadas Veeru Vaaru Song report, #PandemKodi2 Teaser, #SailajaReddyAlludu trailer report and other information in latest episode of The Cinema Info Show by Mr. B. There will be Double Elimination this week in Big Boss 2 Telugu. Kaushal, Ganesh, Amith, Samrat, Nutan Naidu are in elimination nominations. King Nagarjuna, Nani starrer Devadas movie Veeru vaaru song came out and getting nice response. Manisharma composing songs for Devadas. Sriram Aditya is the director for Devadas. Vishal pandem Kodi 2 teaser out recently and getting super response from Telugu movie lovers. Linguswamy is the director of Pandem Kodi 2. Keerthi Suresh and Varalakshmi are female leads. 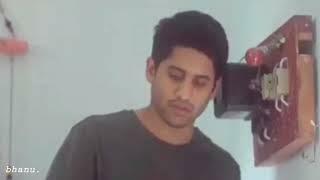 Naga chaitanya Sailaja Reddy movie trailer impressing movie lovers. Sailaja Reddy movie directed by Maruthi. Catch other details in the video.